Buy four quarts of RustSeal to maximize your savings and avoid waste. Best buy for multiple larger size projects. 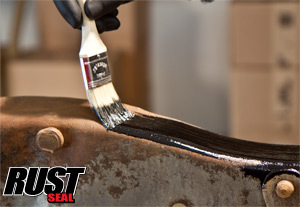 Each RustSeal quart provides 2 coats of coverage for an approx. 50 sq. ft. area. Mix or match colors. 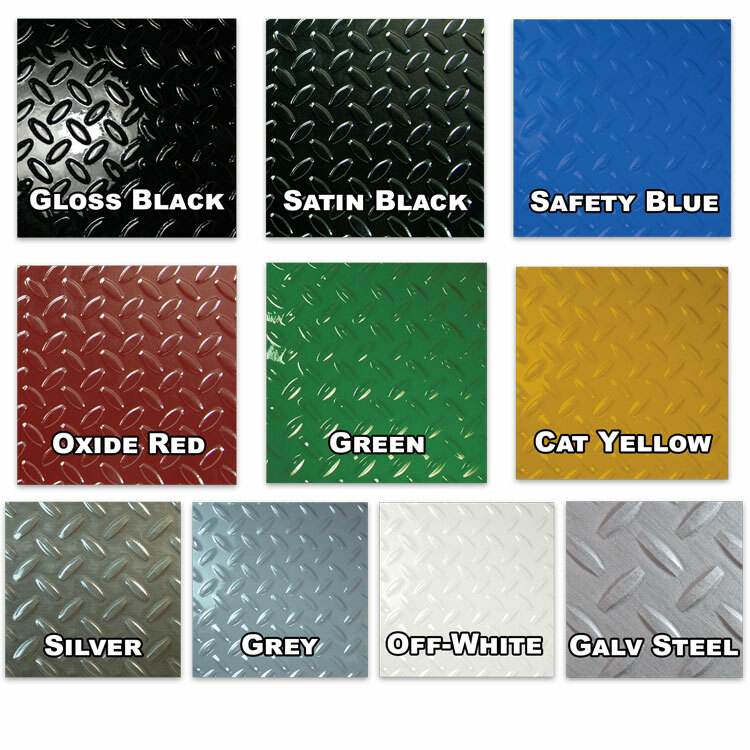 *Click HERE for more information on which color of RustSeal you should use. Quarts are more convenient than a gallon. Less clean-up. Less Waste. 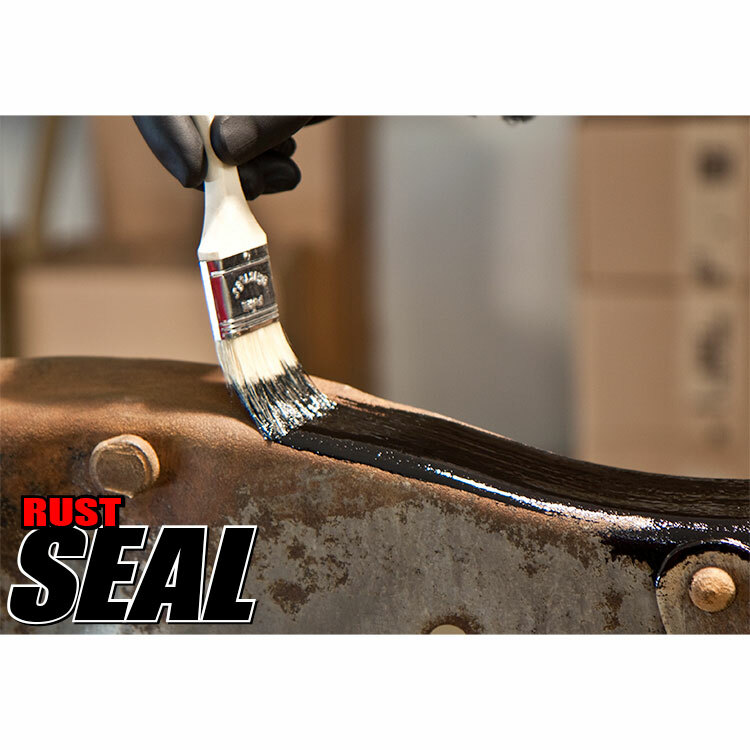 RustSeal is a paint-like substance that acts as a total rust inhibitor and preventive. 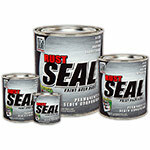 RustSeal has a consistency that is approximately that of paint and it has very good spreadability. 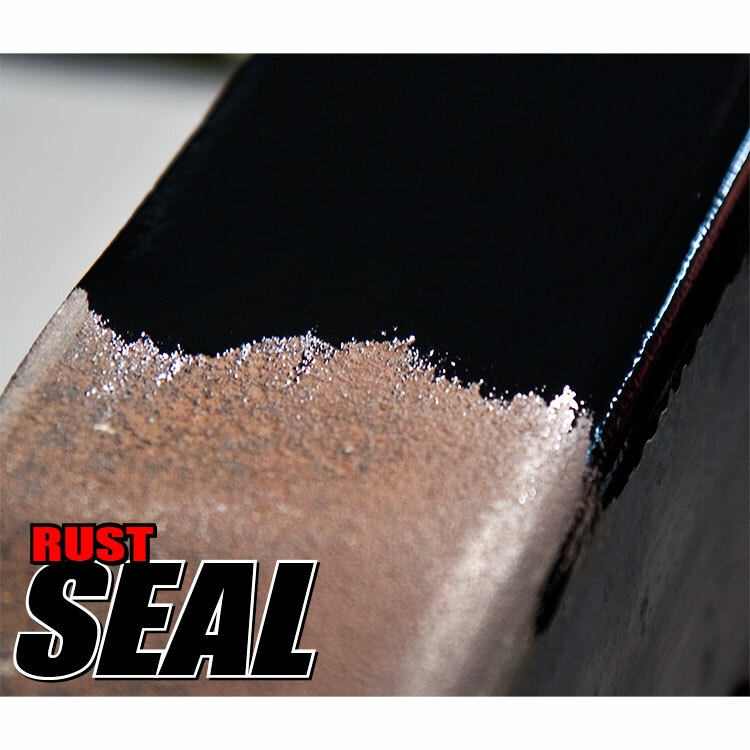 RustSeal chemically bonds to rusted steel to form a rock-hard, non-porous coating that won't crack chip, or peel. 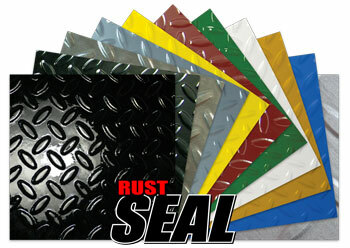 RustSeal works by isolating metal from moisture. Without moisture present, steel can't rust. RustSeal is highly surface tolerant and capable of adhering to almost any prepared substrate. Note: RustSeal is not intended for use as a final finish. Repeated or prolonged exposure to direct UV light will cause cosmetic alteration to its color and sheen. 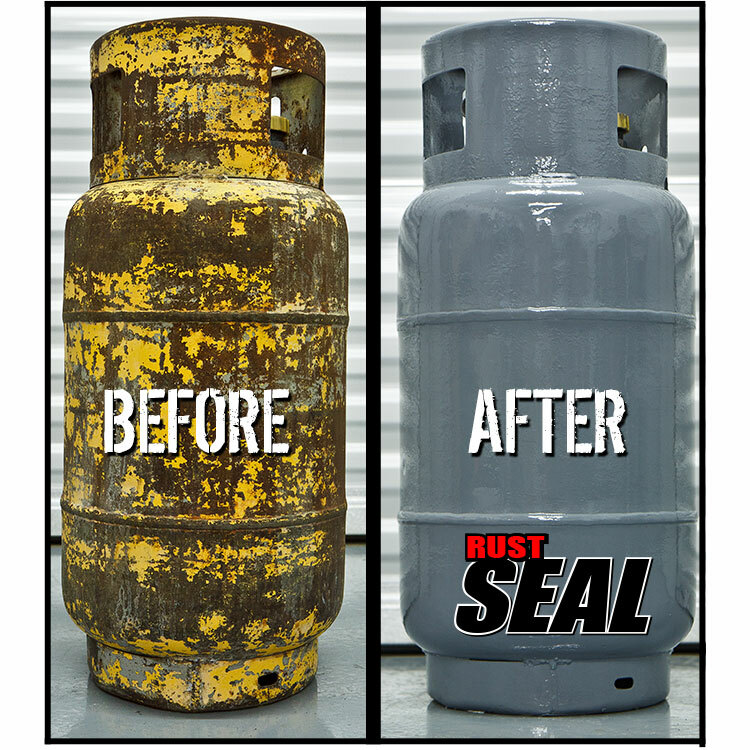 RustSeal’s guaranteed rust protective properties, however, will not degrade. In areas not exposed to direct UV light, like the underside of a car, RustSeal will seal as well as serve as a great looking final finish. To protect against unwanted cosmetic changes, topcoat RustSeal with any opaque (solid color) paint system. Please note that a clear topcoat cannot provide the needed UV protection. Choose the closest color associated RustSeal primer to compliment your topcoat and protect against potential visible surface chips. Automotive: chassis • floor pans • wheel wells fenders • trunks • engines • suspension parts • axles • roof drains • springs • doors • almost every part on a car except the exhaust! Watch Sam Memmolo use The KBS 3 Step Rust Prevention System to coat a rusty frame. Check out how we use The KBS 3 Step Rust Prevention System to fix some rust spots on the bottom of our car doors. 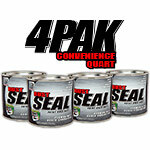 Excellent product... 4 quart buying option Also great feature. . Thanks will buy as from kbs as needed.. I brushed rust seal on new floor pans and had it peel off in large sheets.Recommend sanding before applying.Product lifts off and bubbles up in places like strengthen grooves in floor pans where it accumulates. White Rust Seal turns cream color. Rust Seal with the patching fabric worked great. had a few bubbles form and finish did not flatten completely in a small area. (probably my error) both were virtually impossible to see and did not affect over all appearance. very pleased with this product. Painted undercarriage of snowmobile trailer after sandblasting it and finish is remarkable - I plan on restoring an older Caddilac and this paint WILL be used. I have recommended it to friends and will. This is very easy to use right out of the can. We are applying with a brush, but it's supposed to be applicable with a paint gun as well. Haven't tried that yet but plan on spraying when coating the underside of the car. SemperForce black nitrile examination gloves are designed for demanding work environments where your safety and comfort are a must. A textured surface promises secure gripping capabilities. SemperForce black nitrile gloves are ideal for automotive, industrial, tattoo, and cosmetology applications. 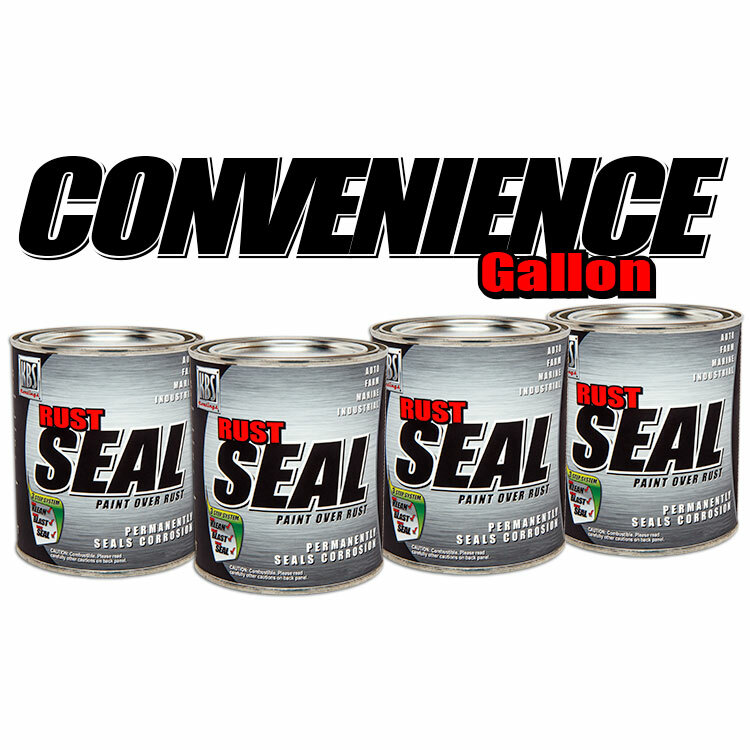 A full quart of RustSeal in four user-friendly 8oz. cans. Each can provides 2 coats of coverage for an approx. 12 sq. ft. area. Open only what you need. Best value for small or multiple projects. Mix or match colors.